uNetCams on the Mac allows you to monitor up to 16 multiple live video and audio feeds directly from network cameras (1000+ models of network cameras from over 100+ manufacturers) and built-in/FireWire/USB webcams with top notch performance and speed. 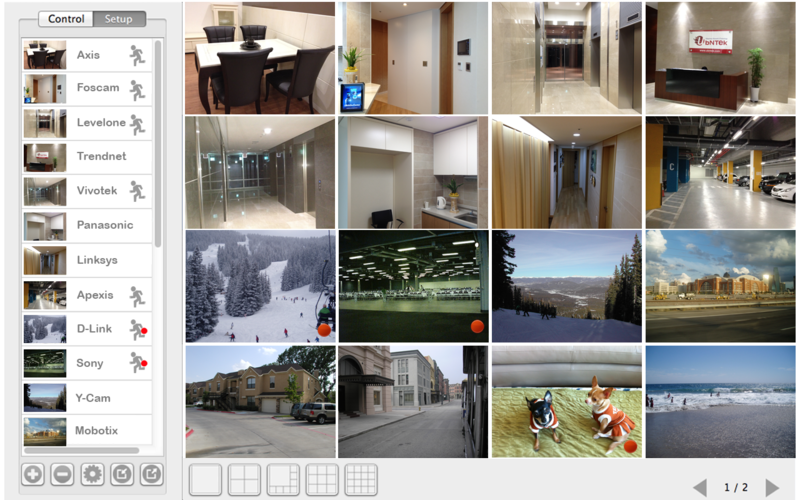 Unlike the ordinary camera apps, uNetCams to view what the camera’s lens see with a variety of functions - especially motion detected record, exchanged setup files between Mac and iOS device, remotely view Windows PC client, and even navigating between hundreds of IP cameras effortlessly with a single click or tap. The most spectacular cutting edge technique of this application is the open architecture client which enables the software to dynamically update on demand, without requiring modification of the source code & Mac Store update process. What that means is that we can easily & quickly support most of the models if the IP cams meet our functional requirements right after some tests. Thus, our team made the new cameras possible to be added right after tapping a “reload” button. Another differentiating feature is that motion detected videos are remotely automatic recorded in your local folders while you’re watching video camera. Just download and click uFoscam to listen and watch your camera virtually from anywhere with Wi-Fi coverage or even cellular data networks. Watch this screen shots to get a better understanding of what uNetCams is all about. “I had just purchased a Foscam, Panasonic, Linksys wireless IP cameras and had great results using it with Windows PC. But having a MacBook Air I wanted an application which I could use everywhere. Well, having tried many different Mac apps for my cameras I have to say that uNetCams has to be the most technically competent and for that matter, very cool application out there"